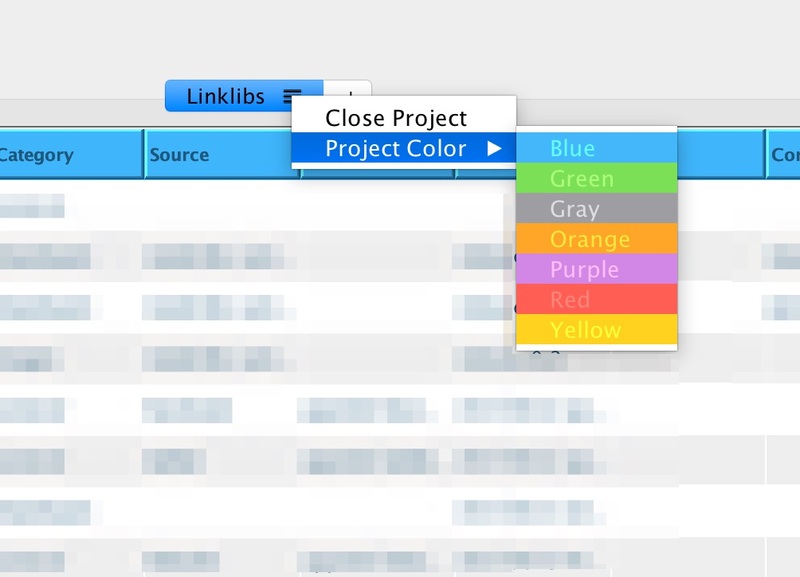 When a project is opened Linklibs will choose a random color and assign to the project. But if you want you can change the color of the project. To change the color goto to the popup project menu. 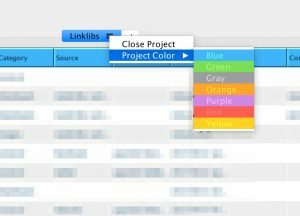 Under that you will get the option of Project Colors. Choose the one which you like.